Squishy cash is an online GPT (Get paid to) job provider since 2007. You can earn hundreds of dollars by completing the given jobs. So, you will get paid to completed jobs. This is one of the best opportunity for students, home workers to earn $10 per day just by working one or two hours per day. 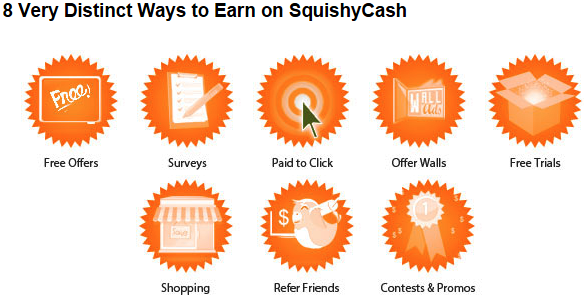 Squishy cash has partnered with hundreds of advertisers to bring you easy job opportunity to earn daily. You will get assured jobs every day like clicking ads, completing tasks, offers, surveys etc. Click here to join squishy cash. Once you click the above link you will be taken to the home page of the squishy cash. 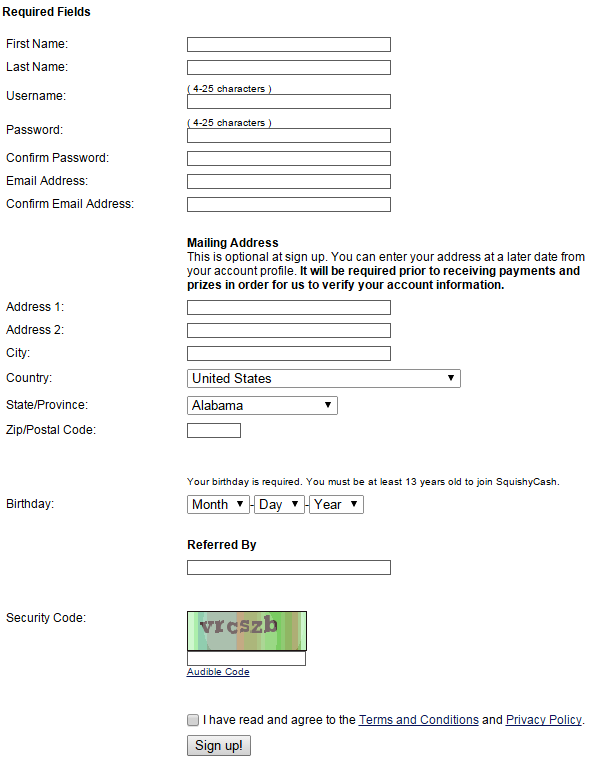 Enter your email address on the sign up panel as shown above. Now you will be taken to the registration page. Choose your desired password through which you will have to log in on future. Enter your desired password and address(optional). Enter your birthday date and accept their terms and condition. Solve the captha and click sign up. They don’t require any e-mail verification. So, you can directly log in and start your work. Continue to read for more information about squishy cash. There are eight distinct ways to earn on squishy cash. You can earn by completing free offers & surveys, paid to click(PTC), shopping, trying offer wall & free trials, referring friends etc. To do PTC task select click ads under the earn tab in the menu bar. 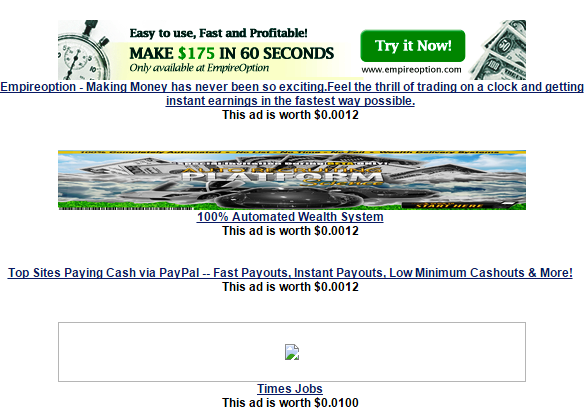 You will get the available ads to click as shown above. Click on the link to start your work. 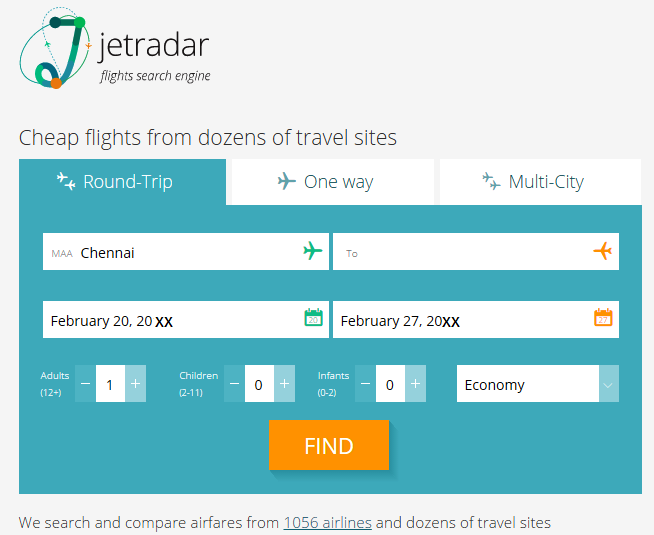 Once you have clicked the link, a page with the corresponding website loads. You should select the correct security code from the drop down box and click go to make your click valid. Wait for the time given (ex. 10 seconds) in the ad page. Then your ad click will be made valid and the money allotted for that ad will be automatically credited in your account. 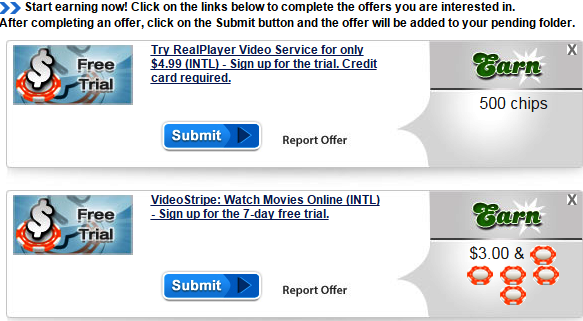 If you select invalid code or close the page within allotted time you will not be paid for that click. 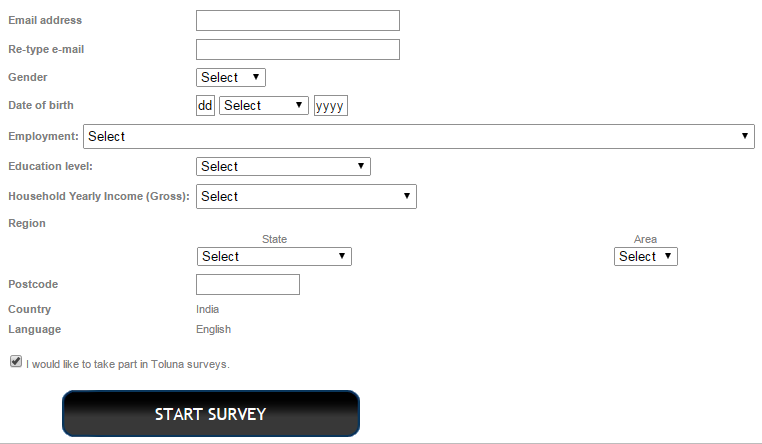 Click surveys under the earn tab in the menu bar to see the survey jobs listed as shown above. It is one of the simplest job. Click on the survey you want to start. Enter your details and click start survey. Answer the questions by choosing the relevant answer. Complete the survey and get paid for that. You can earn more by completing the surveys than PTC. 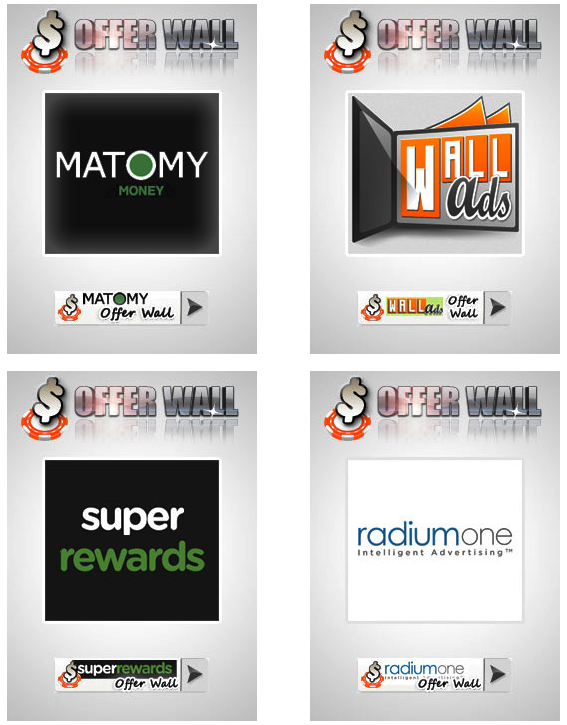 Offer wall is the best opportunity to earn extra money. 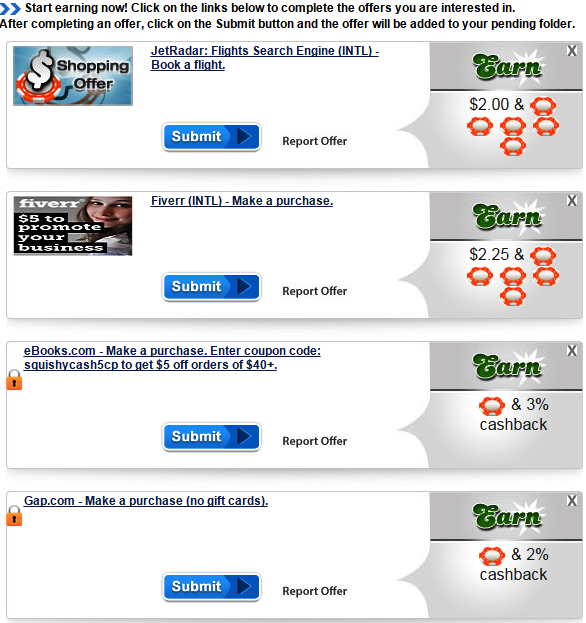 Just click offer wall under the earn tab in the menu bar. The offer wall will be listed as shown above. 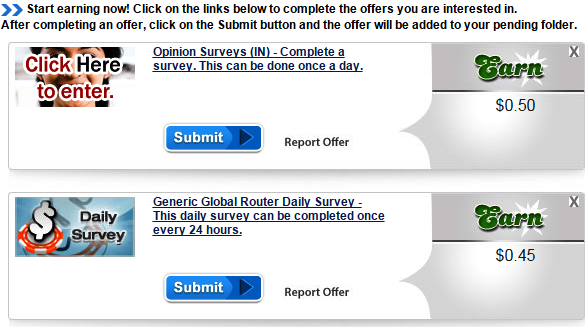 Click any one of the offer wall to see the available offers as shown below. Click on the offers to earn chips. For example click and watch the video to earn one chips or Download the following to get 22 chips. There will be so many offers under each offer wall. Click trail under the earn tab on the menu bar. The trail tasks will be displayed as shown above. The trial tasks will be like trying a software rated $5 for 3 days for free. 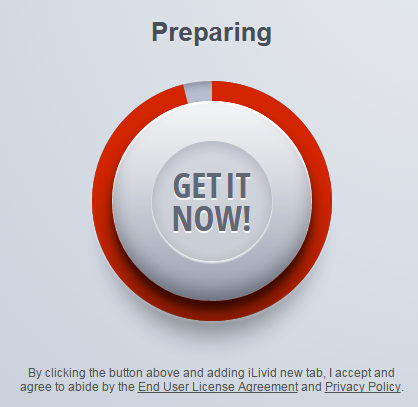 After you complete a trial, click submit to submit the offer pending. You can earn both cash and chips by completing the offer. By clicking the shopping option under the earn tab on the menu bar you can see the available shopping offers as shown above. If you are shopping online and not saving. The squishy cash provides a way to get discount for the product you purchase online. This is only available for the product listed. If you buy the product from their link you will be rewarded and will be credited to your account. This is one of the way to save or earn money. For example if you click the first link and if the ticket is booked through this link. You will be paid $2 and chips. You can earn by listening to the radio for the given time provided the following should be applicable. Members from USA, Canada, Australia and UK earn 0.50 chips for each 10 minute listen on Radio Loyalty™. Members from Belgium, Brazil, France, Germany, Japan, Netherlands, New zealand, Singapore and Spain earn0.25 chips for each 10 minute listen on Radio Loyalty™. 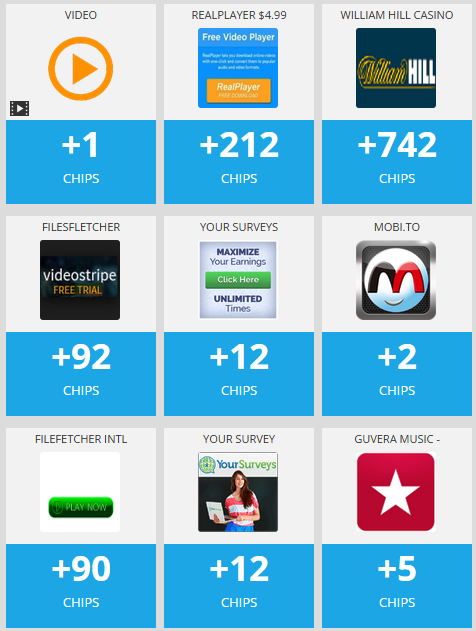 Members from rest of the world earn 0.15 chips for each 10 minute listen on Radio Loyalty™. Simply click on ‘Listen now’ link to start earning. Each 10 minutes of listening a captha will appear and by completing it your account will be automatically added with chips. You can win more money by participating in the contests. Complete the tasks given and earn rewards. 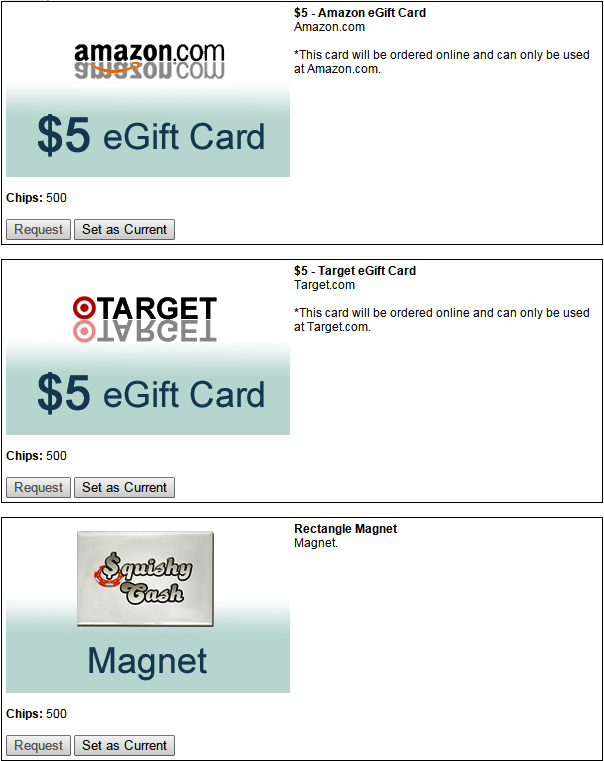 Click current contests under contest tab in the menu bar to participate in contests. 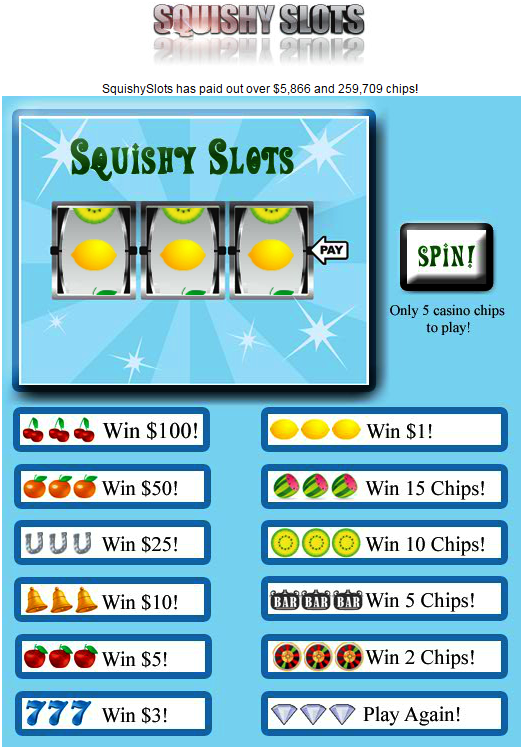 Squishy slots is like lottery. You gotta use 5 casino chips to spin and you have chances to win various prizes. You can win up to $100! 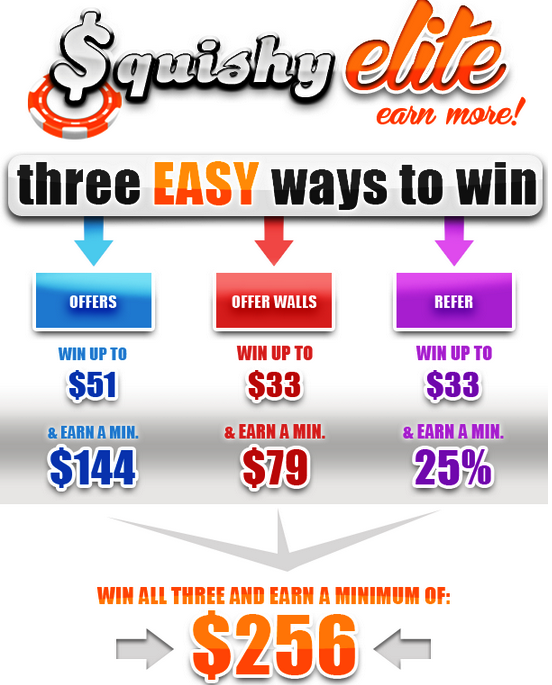 Squishy elite provides a way for monthly bonuses by completing the given target. 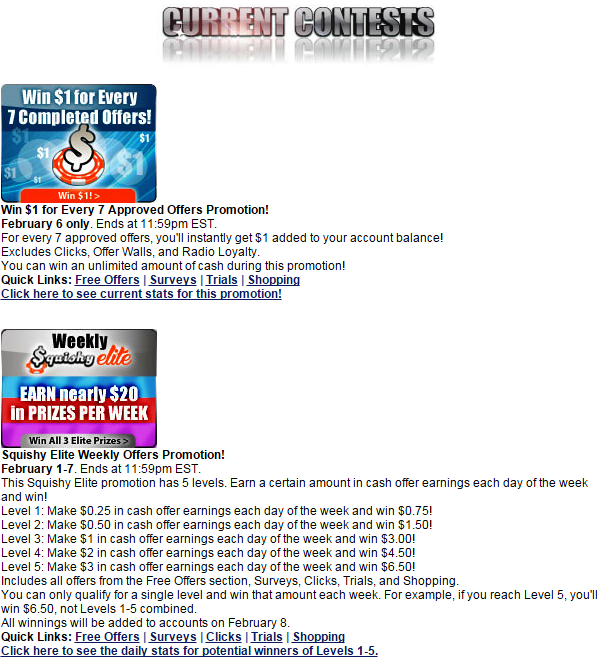 Earn a certain amount in cash offer earnings each day of the week and win bonus each week. If you reach specific level everyday of the month, you’ll also earn an elite bonus, on top of your weekly promotional winnings. So you can see the targets below. By completing the jobs, tasks and offers you earn cash and chips. You can withdraw your earnings through Paypal or check. 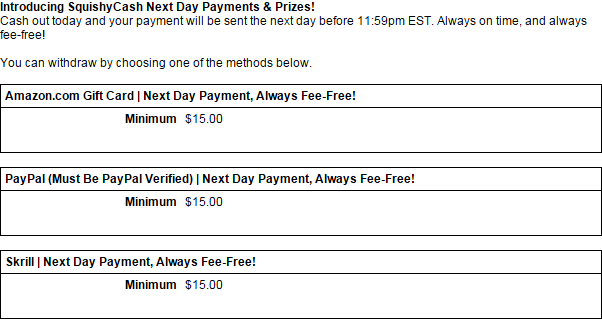 Payouts are processed daily and will be sent the next day before 11:59 pm EST. The minimum cash out is $15 for Paypal and $100 for checks. In case of chips, they can be redeemed in the price shop for many different prizes including Amazon, Walmart, Target, Visa or other gift cards. You can also use these chips for playing Squishing slots. 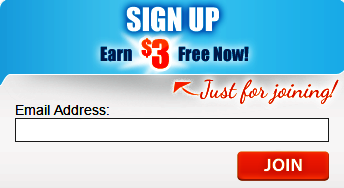 You will get $3 as signup reward.